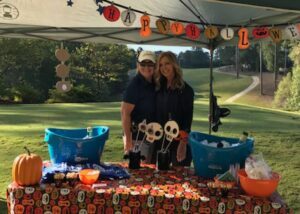 NOVA teamed up (and teed up) with our pals at OxBlue to co-sponsor Turner Construction’s Golf Tournament benefiting Children’s Healthcare of Atlanta. Thanks to everyone who participated and donated! Dana Williams, NOVA Kennesaw, and Marsha Rain, OxBlue, represented our firms in seasonal style!